Ericsson (NASDAQ: ERIC) has partnered with Net Insight (NASDAQ: NETI) for use with Ericsson’s Unified Delivery Network (UDN), a content distribution service that supports low-latency, live content delivery. The Sye solution from Net Insight – a leading provider of live streaming, media transport and resource scheduling – is specifically designed to harmonize the viewing experience during live streaming events, ensuring everyone sees the same content at the same time. As a result, viewers can engage with each other on social media without the risk of finding out what happened on someone else’s screen before it happens on theirs. Through the cooperation, Sye will be integrated in Ericsson’s UDN offering. The combined solution will result in a superior, highly efficient, global content distribution service. Ericsson’s UDN is a global content delivery platform that facilitates collaboration between content and service providers to create turnkey, value-added services. This is superior to traditional content delivery networks because it uses infrastructure inside service provider networks, distributing content far closer to end users for a superior viewing experience. Join us at IBC on Booth # 1.B40 to learn more about our Live OTT solution Sye. Sye is the world’s first True Live OTT streaming solution. It includes ultra-low latency streaming as well as functionality to synchronize the individual feeds across devices. 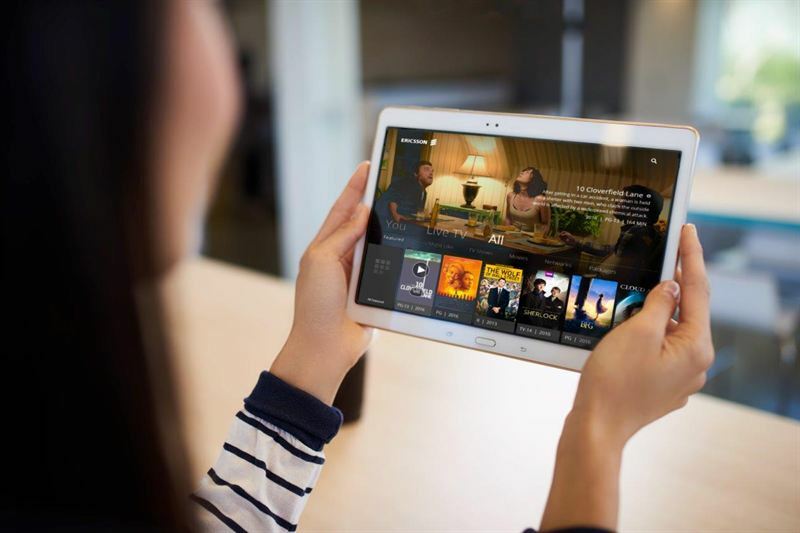 True live OTT brings a TV- like viewing experience to anyone regardless of platform, including features such as; instant playback; fast channel changes; seamless ad-insertion; instant network time shift and higher quality of service. Sye is built around a resilient streaming protocol crafted from the ground up. It is optimized for live streaming, with minimum overhead and maximum network utilization. Sye maintains more than 40% higher video quality compared to traditional file based solutions. Ericsson’s UDN encompasses 68 content providers and 43 operators around the world. Ericsson works closely with these partners to implement the UDN at each operator’s network edge, leading to improved service performance and a better user experience. Content providers benefit from optimized delivery of over-the-top services including, but not limited to, high-quality video content and Internet of Things applications.